Are you considering converting a vehicle for your events? Have you seen lots of companies on the road with their shiny new conversions? Here are 4 reasons why you should take the leap too, and how it will boost your marketing once you have. 1. You'll be seen and remembered. A strong brand presence makes a lasting impression. Everything from your product to your presentation will matter to potential customers or buyers and that’s why image and branding is so important for SMEs. A well-crafted vehicle that can best showcase what you have on offer will make you more memorable. When adding your logo or signage, make sure you place it high enough on your vehicle, so that it can be seen from afar to attract lots of people. 2. It's mobile and self-sufficient. You should plan to have everything in your unit installed already, with no need for extra equipment that might need to be carted around in a separate vehicle. So make sure you have a sink, cooking appliances or anything else you might need, depending on your business. That way, you can easily bring your whole business to events with you! 3. It will become your transportable advertisement. If you get a road-worthy vehicle with your branding on it, you not only get to transport yourself and your product or services, but it also acts as “free” mobile advertising! Wherever you might go, it’ll be the way you present your brand, so make sure it’s perfect in style and has your name on it. 4. Event organisers and press will love you! Since it’s becoming more and more popular to have a conversion or vehicle, event goers and organisers alike are getting used to the convenience it provides. It will help you in preparing to attend a variety of events across the country, both indoors and outdoors, without the hassle of building and breaking down a stand. Also, press love writing about branded conversions, so it can be a great PR stunt. 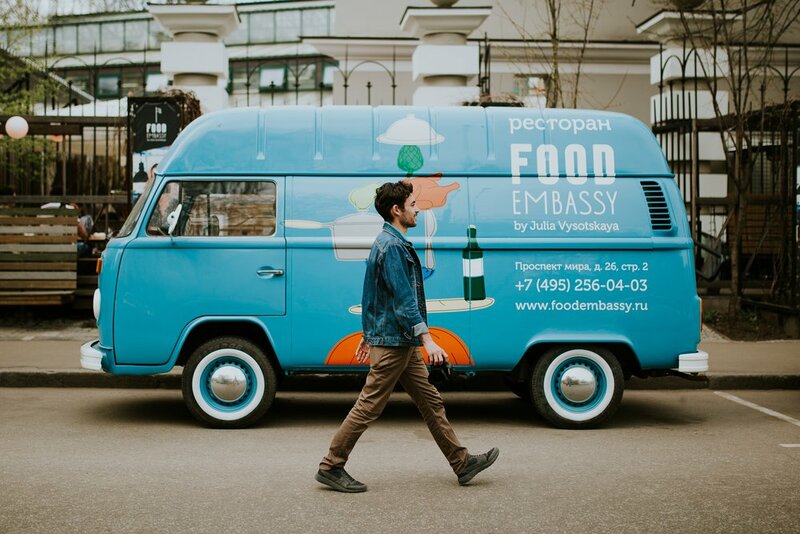 A good marketing and PR strategy will connect your brand to your vehicle, so that people instantly recognise it at events. Sign up using the form below to receive a free series of 4 emails with our top tips on running exceptional live events as a brand.